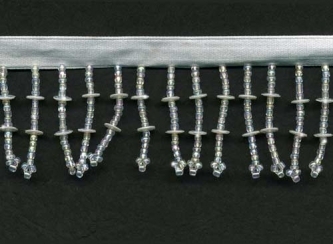 From our Unique Beaded Fringe Collection (trims under 1 1/2" long)This trim has a wonderful iridescent quality to it. Subtle and perfect for so many projects. Beads are 1 1/4" long not including the white satin ribbon.